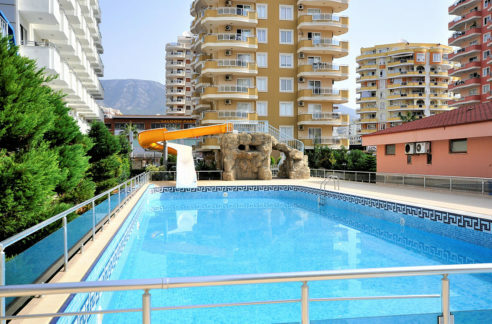 The real estate is located in Mahmutlar – Alanya. Gazipaşa airport is just 35 km away. Only few steps takes you to the fine sandy beach, shoppings and Caffè restaurants. 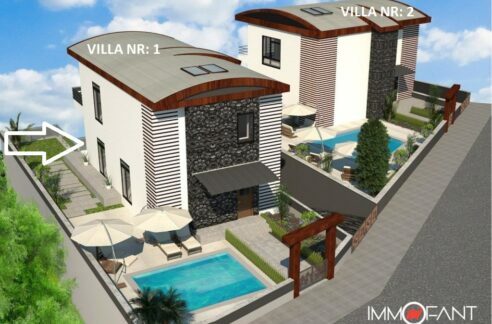 The apartment is on the 3.floor and has 120 sqm of living space with 2 bedrooms, living room, kitchen, 2 bathrooms and 2 balconies. 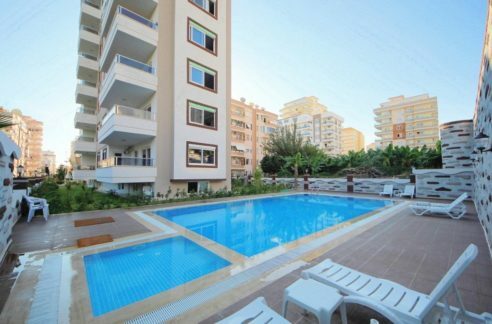 From the balconies have views to the pool area, Taurus Mountains and to the landscape. 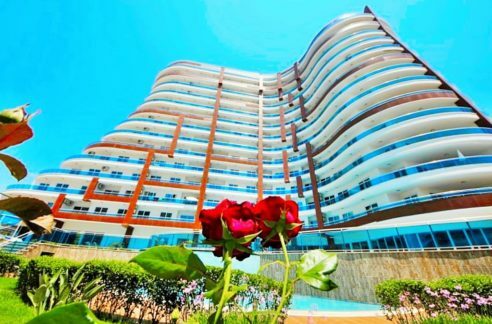 The Residence offers very attractiev facilities such as swimming pool, indoor swimming pool, tennis court, security, fitness, sauna, Garden, emergency power generator, Concierge service for only 35 euros a month. 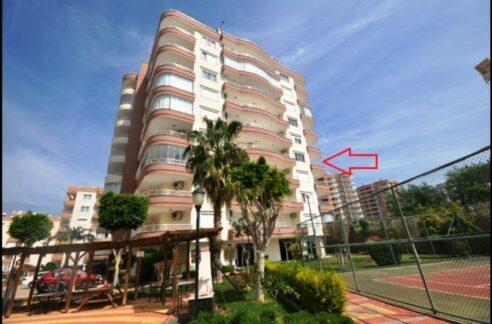 The property is fully furnished in offer for 69,000 Euro price.